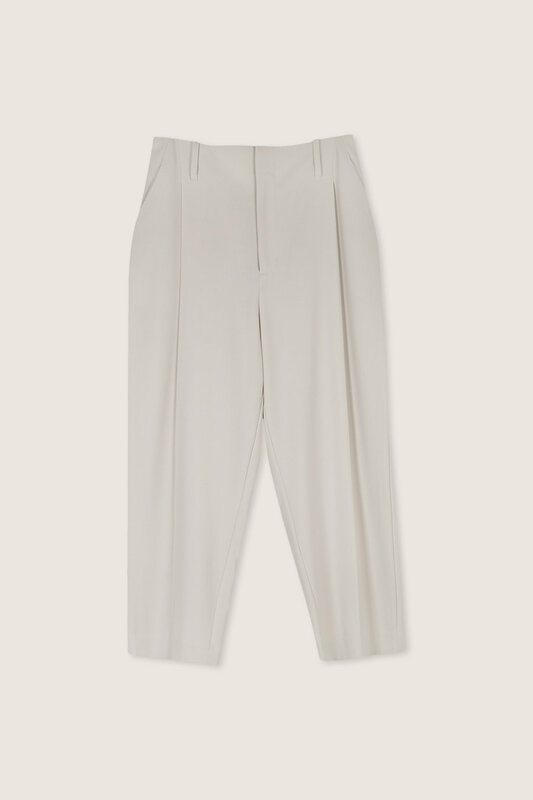 A comfortable classic, these pants feature a flattering high-waisted fit with a relaxed silhouette for a effortlessly sophisticated vibe. 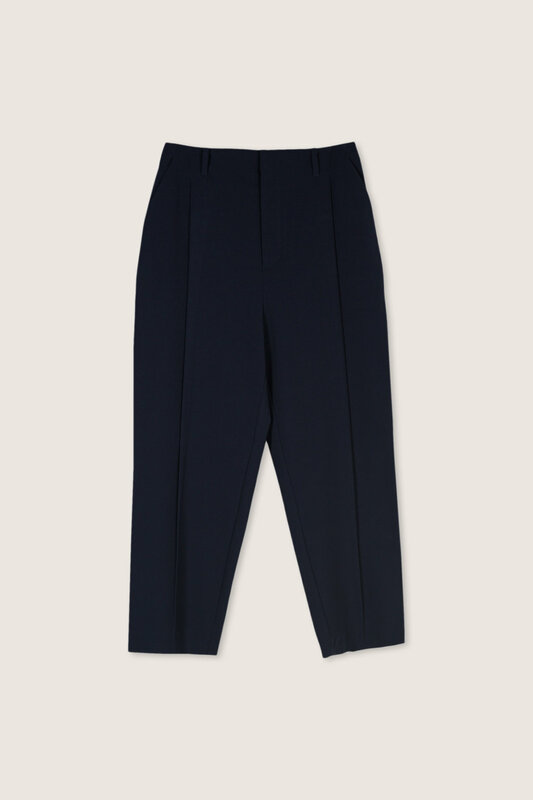 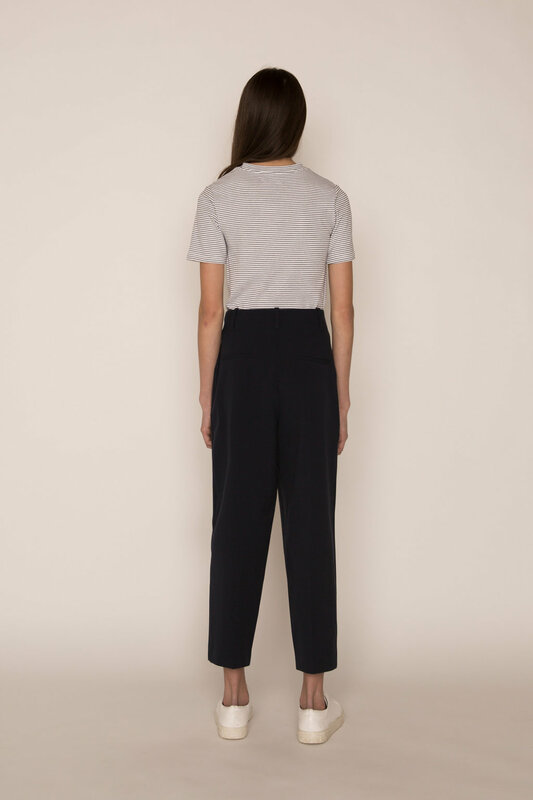 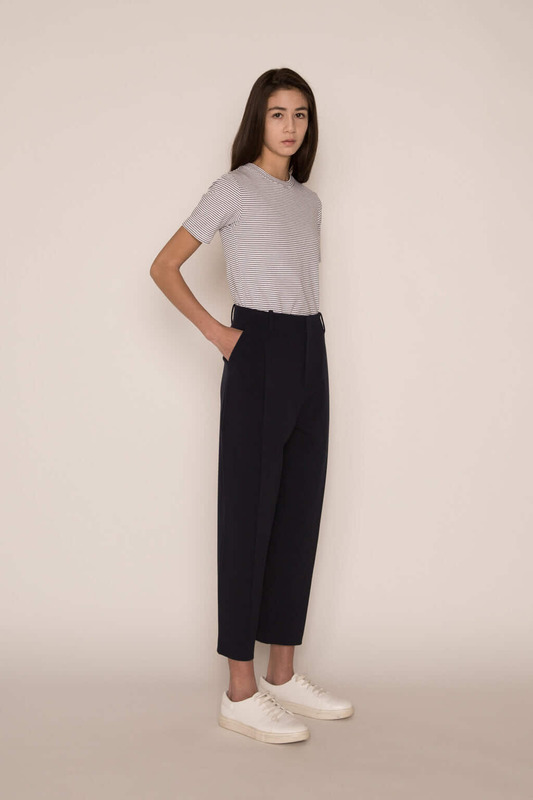 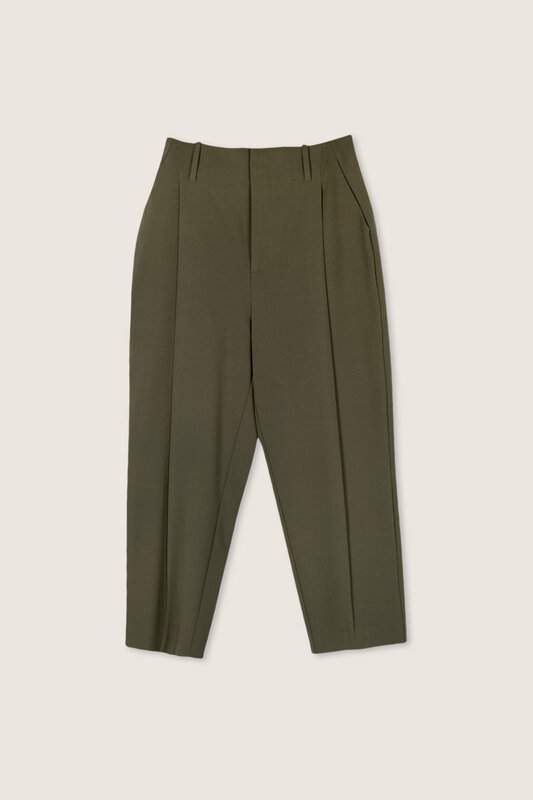 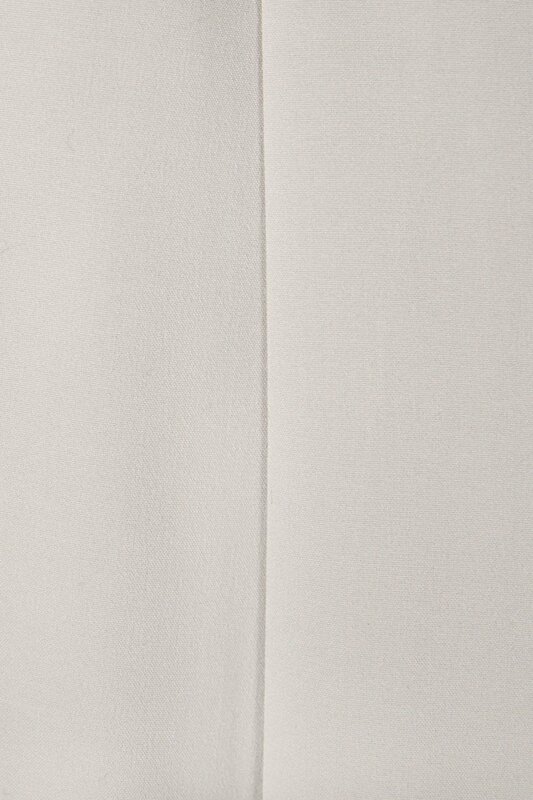 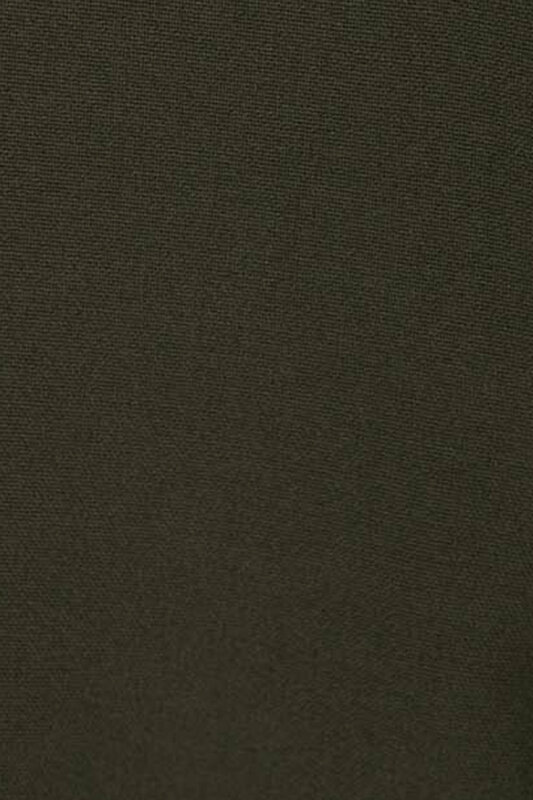 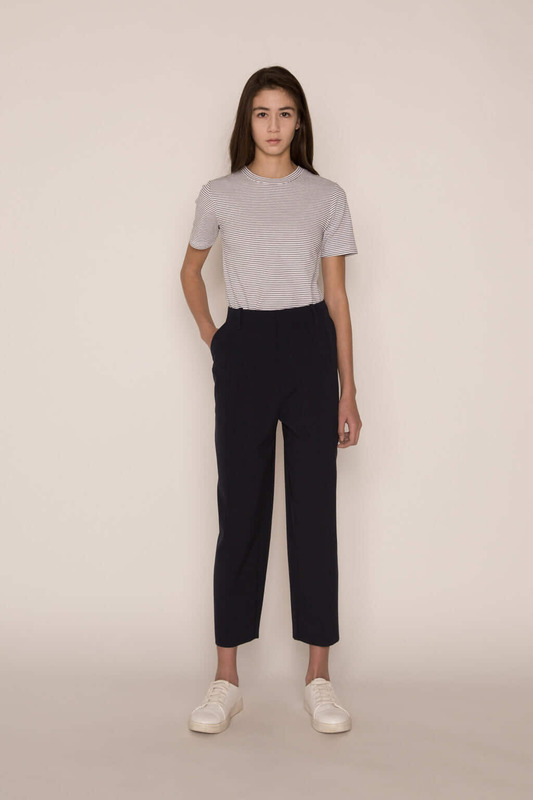 The front pleats and cropped length add a tailored touch to this basic pair. 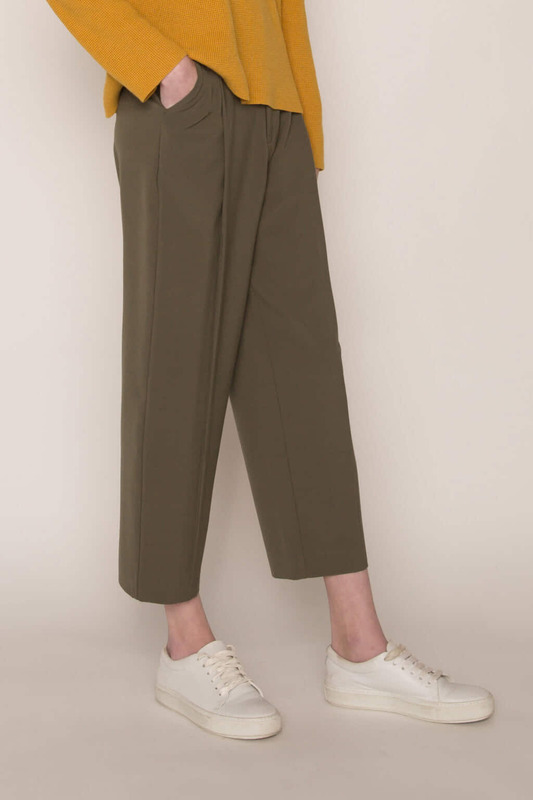 Style with a t-shirt, coat, and sneakers for a casual yet chic look.